John runs a small pest control business in the UK and has been using the Free Version of SpendMap on his laptop but now wants to move it to his desktop computer. Sure John, the steps are pretty much the same as moving it to a network server, so please start by taking a look at the section “Network Installation Instructions”, in the Getting Started Documentation that come with your free PO software. Only you can ignore Step 2, as those registry settings only apply when installing it on a server. And regarding Step 3, you most likely already have full access/rights to all folders on your own C: drive, so you can probably skip this step too. That said, it is possible that you don’t have full access/rights on the new PC, in which case Step 3 would apply. 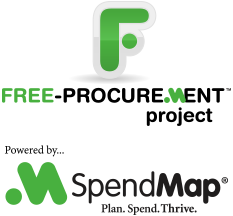 As always, if you have any trouble at all, you can reach us on our free support ticket system, by selecting “Free Online Support”, under the Help menu in SpendMap.